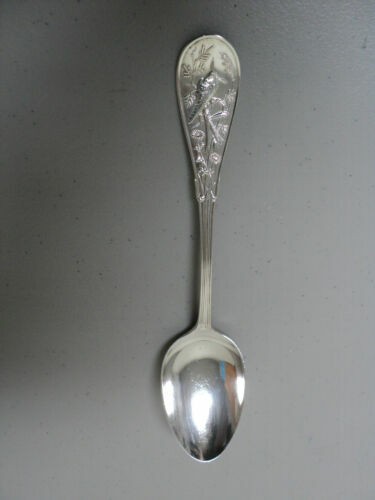 Buy: $79.95 Rare Antique Tiffany & Co. Sterling Silver Audubon Pattern Spoon - 6 1/4"
$289.0 Audubon by Tiffany & Co. Sterling Silver Serving Spoon 8 1/2"
$139.0 Audubon by Tiffany & Co. Sterling Silver Place Soup Spoon 7 1/4"
Buy: $575.0 Tiffany & Co. Audubon Sterling Silver Gold Vermeil Butter Spreader 6 pc. 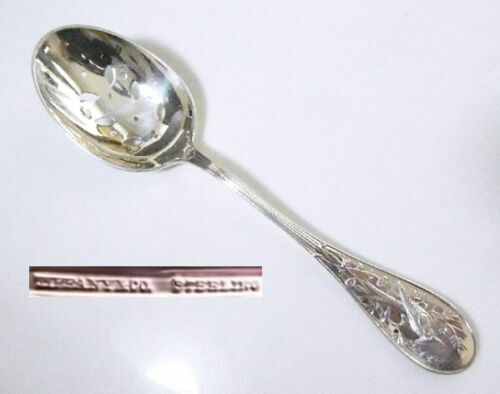 $409.0 Audubon by Tiffany & Co. Sterling Silver Vegetable Serving Spoon 9"
$425.0 TWO ANTIQUE TIFFANY STERLING SILVER AUDUBON DINNER FORKS 8" NOT JAPANESE! Buy: $599.97 Japanese By Tiffany & Co Audubon Birds 1871 Sterling Fish Server!! 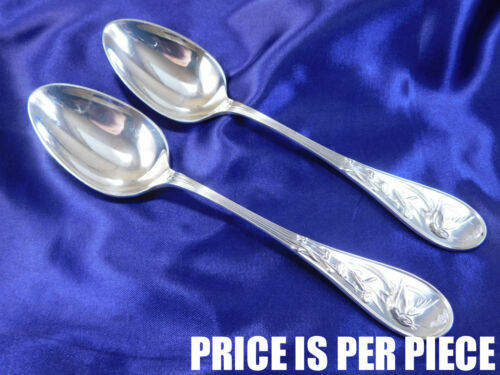 Buy: $200.0 Tiffany c.1871 Sterling Silver Japanese (Audubon) Pattern Teaspoons - 15 Avail. 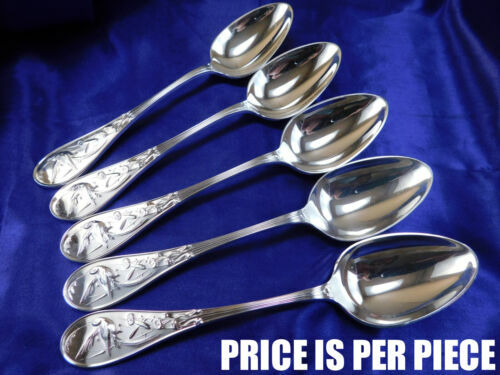 $375.0 Audubon by Tiffany & Co ~Lot of 4 Teaspoons ~ Sterling Silver 6-1/4"
$259.0 Audubon Gold by Tiffany and Co. Sterling Silver Cream Soup Spoon 6 3/4"
Buy: $600.0 Tiffany & Co. Audubon Sterling Silver Gold Vermeil Iced-tea Spoon 4pc.